New York-based design studio DFA has opened up a new retail arcade on 50 Northwest 24th Street in Wynwood, Miami. 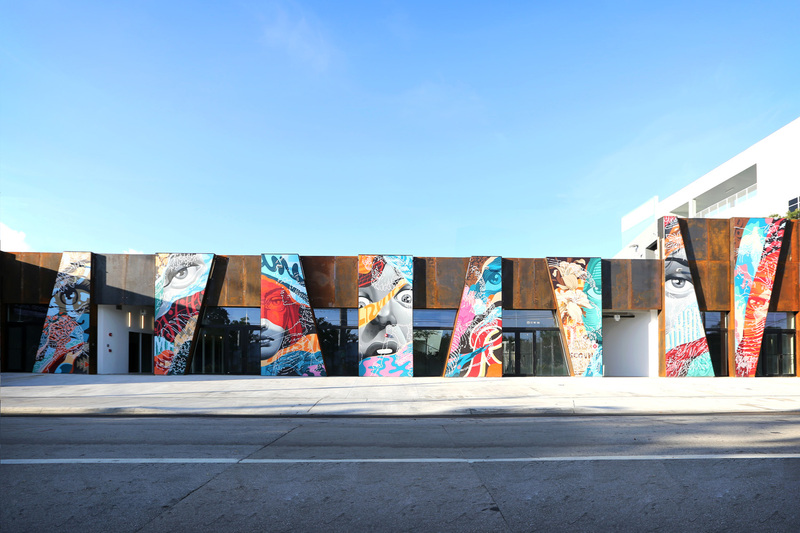 Housing nine retail outlets, the building—which is formally known as "Wynwood Arcade"—features a vibrant mural set against an angular Cor-Ten steel facade. DFA's Founding Partner Laith Sayigh spoke to The Architect's Newspaper about the arcade's design. "We were very conscious of what Wynwood had been and what it still was," said Sayigh as he explained how DFA were acutely aware of how Wynwood was made part of Miami's Design District. "We never saw it turning into a trendified neighborhood," he continued, adding how the area had maintained its sense of "grittiness" as well as being an affordable place for local artists. As for the design, Sayigh recalled elements of his childhood to drive landscaping decisions in the project. As a result, indigenous Floridian Coccoloba uvifera's (sea grape) have been included to act as social connectors, a feature that reminded Sayigh of his youth when such trees where well-used gathering spaces. The trees aid the creation of what Sayigh describes as a "formal oasis"—an open, shaded area with white surroundings in the center of the arcade. This feel is replicated on the rooftop where further greenery can be found along with reasonable views—for a low-rise building—across the area. These spaces, however, are much more reserved compared to the arcade's facade. With both angled chunks seemingly sliced from the building, the facade comprises Cor-Ten steel with a colorful mural spanning the length of the elevation. Sayigh mentioned how he and his studio had a "fascination" with the idea of creating a "canyon experience" for the retail frontage. The interior and rooftop layout reflect this approach with clear diagonals running through the building either as openings or changes in level. To amplify this, Sayigh added that the material choice of Cor-Ten steel symbolized these supposed "cuts through the building's flesh" creating the impression of "bleeding" while also pursuing the sense of grittiness native to the vicinity. The mural, which offers a colorful contrast to the weathering steel, currently features an array psychedelic symbols and tones. The design came from an artist local to the area and is due to be changed every two years. Speaking of future plans, Sayigh added how DFA were looking into installing an outdoor screen on the roofdeck to encourage more visitors not just at daytimes with the offer of outdoor movies being shown. 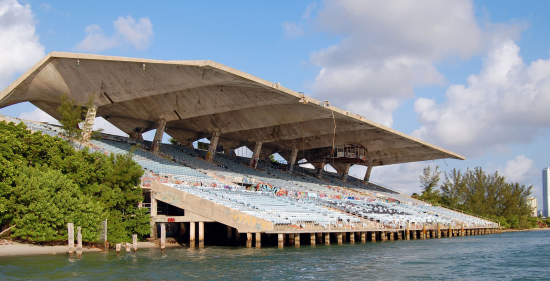 The National Trust for Historic Preservation (NTHP) and Heineken have teamed up for a crowdfunding campaign to save the historic Miami Marine Stadium in Virginia Key. Heineken is offering up to $20,000 in matching funds towards the campaign's total $100,000 flexible fundraising goal. Funding from the campaign will go towards re-opening the venue and restoring it to its former glory, starting with replacing its 6,566 seats. The project will also require repairs the structure necessitated by to environmental damage and vandalism. Since its closure, the concrete stadium has been a popular site for skateboarders and graffiti artists, and it has been covered nearly top to bottom in spray paint. The campaign is offering photo prints of the best graffiti art as incentives for a $10 donation. Miami Marine Stadium was built in 1963 on Biscayne Bay as a venue for powerboat racing events. Later the stadium was also used for concerts from performers like the Rolling Stones and The Beach Boys and spectator sports like boxing. 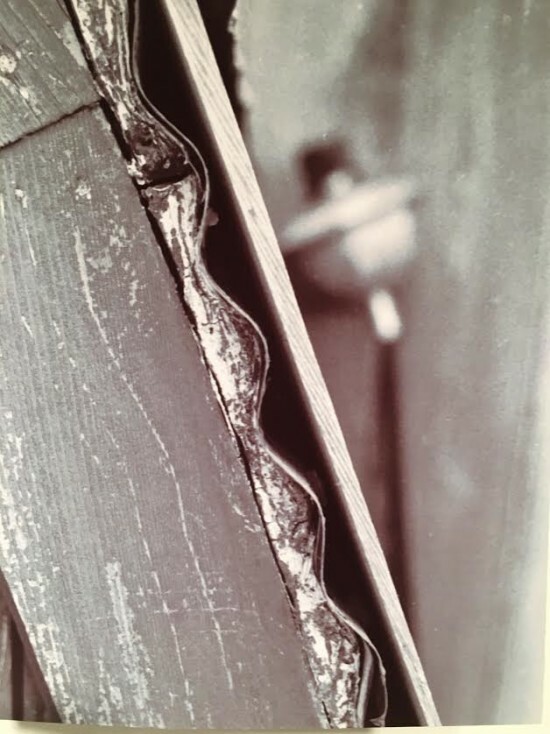 It was closed in 1992 in the wake of Hurricane Andrew when the structure was declared unsafe under Miami-Dade County building code. The unique design of the stadium came from a 28-year-old architect named Hilario Candela, a recent immigrant from Cuba. It includes a span of cantilevered concrete as long as a football field that, which at the time of its building, was the longest in the world. The massive roof is anchored by concrete columns set as far back as possible so as to offer unobstructed views of the bay. The NTHP has been working toward saving the stadium since 2009, when they added it to their 11 Most Endangered Historic Places list. 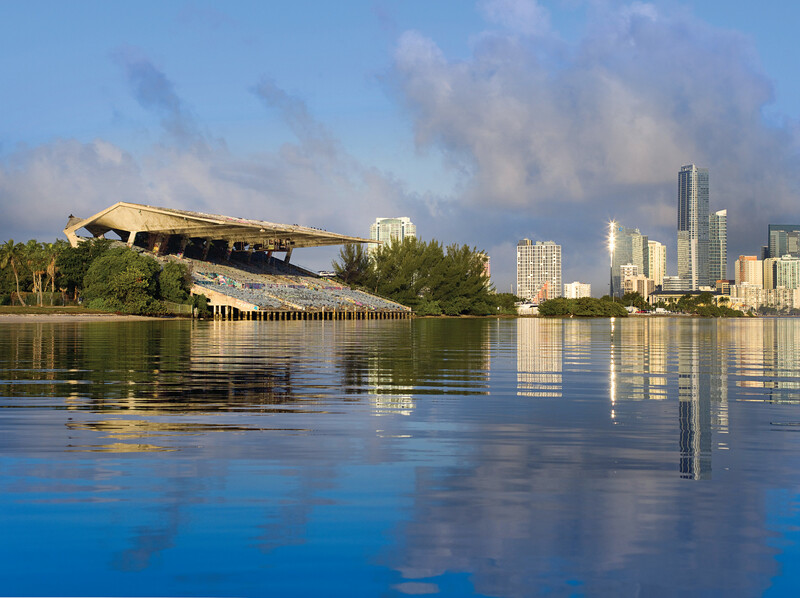 In early 2016 it was the location of the Miami International Boat Show, marking the first official use of the stadium in over 20 year and bringing new awareness to the site. The organization does not have an estimated date for the project to be finished, but according to the crowdfunding campaign, the removal of the seats is almost finished. They have also received $4 million from the City of Miami towards further improvements. More details on the campaign are available here. 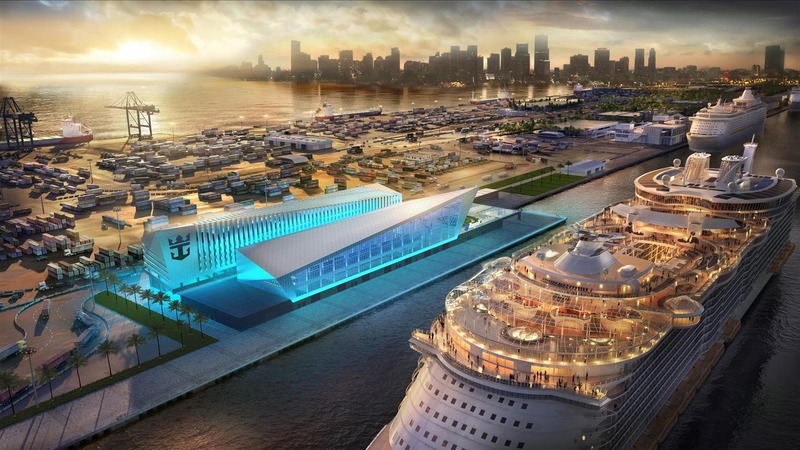 Royal Caribbean Cruises has selected internationally-based Broadway Malyan to design a snazzy new cruise terminal at the Port of Miami (PortMiami). The 170,000-square-foot terminal, to be built on land leased from Miami-Dade county, will be the homeport for Royal Caribbean International ships, including a 5,400-passenger vessel that's currently the world's largest pleasure boat. Global firm Broadway Malyan beat out four firms—Zaha Hadid, Aedas, BIG, and Asymptote—to score the commission. The building's working name is the Crown of Miami because, when viewed from the water, the terminal resembles regal headwear. When seen from the east or west, the structure resembles a capital M (for Miami), or waves, if semiotics are not your thing. The terminal is the first North American project for Broadway Malyan. The structure's prefabricated frame and floor panels were utilized to quickly build out the building's core, while steel beams will create the profile below the waterproof aluminum–clad roof. “Miami-Dade County is happy to welcome Royal Caribbean’s expansion at PortMiami, and all the economic benefits that come along with it,” said Carlos Gimenez, Miami-Dade county mayor, in a press release. “This public-private partnership will have an estimated economic impact of $500 million and generate approximately 4,000 jobs. Royal Caribbean has been an important part of our world-class community for almost 50 years, and this expansion will once again make PortMiami Royal Caribbean’s largest cruise port in the world. I thank them for their continued investment in and commitment to Miami-Dade.” At this time, PortMiami serves 750,000 Royal Caribbean customers annually. Once the terminal's completed, the company expects to welcome at least 1.8 million passengers to the city. The deal goes before the Miami-Dade County Board of County Commissioners for approval on July 6. Construction is expected to begin in the first quarter of 2017 and the terminal is slated to accept passengers by the fourth quarter of 2018. One of Miami-based firm Arquitectonica’s first buildings, the Babylon Apartments, is at risk of demolition if its longtime owner—former spaghetti western star Francisco Martinez-Celeiro (also known as George Martin)—gets his way. 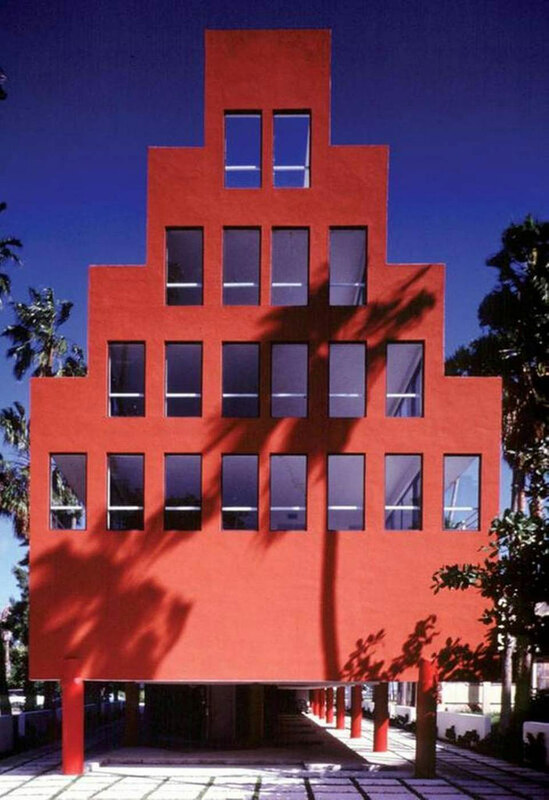 With its bright red ziggurat form, the six-story structure is an icon of subtropical postmodernist architecture in Miami’s Brickell neighborhood and one of the signature buildings of the city’s 1980s Miami Vice era. The Babylon also earned Arquitectonica its first international award, a Progressive Architecture Citation Award, only a few years after the firm’s founding in 1977. Although the Babylon is 34 years old—well below the typical fifty-year cutoff for historic designation—the City of Miami’s Historic Preservation board is considering the fate of the iconic structure on the grounds that it demonstrates “exceptional importance.” A final-draft historic designation report was publicly released earlier this year, causing a flurry of press and community awareness. A Change.org petition was started. 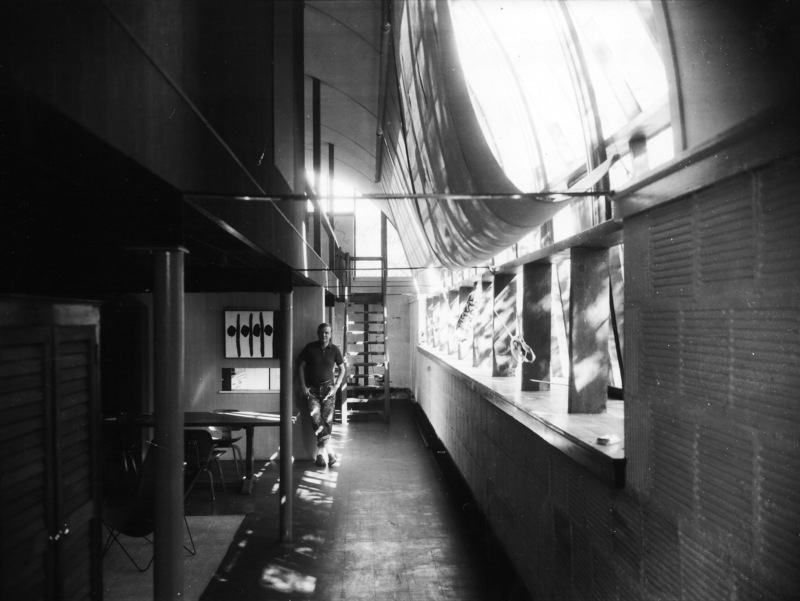 The modernism-preservation group Docomomo rallied for its protection. This attention is with good reason: Arquitectonica designed the Babylon in 1979, the same time as the much larger Palace Condominium on the other end of Brickell Bay Drive (although the Babylon wasn’t built until 1982). “It was one of our first buildings, our first building that’s not a house, and it hasn’t been kept up that well over the years,” Arquitectonica principal Bernardo Fort-Brescia recently told a group of University of Miami students. Indeed, the building’s owner was about to obtain a demolition permit for the site in hopes of constructing a much taller building when historic preservation board member Lynn Lewis requested a report from city staff on May 3 on its potential for designation, setting in place a 120-day moratorium on demolition. Celeiro has owned the Babylon since 1989, and has been trying to demolish the building and get its land zoned for a 48-story structure for the past two years. Up until recently it was at least partially occupied, although according to neighbors nobody has been seen inside lately. Amidst all of this, the usually outspoken Fort-Brescia and his wife, Laurinda Hope Spear, have declined to give their own opinions on the question of preservation itself. “I shouldn’t talk about the Babylon being demolished because I’m not the one to talk about that,” Fort-Brescia said. When Miami’s historic preservation board considered the Babylon for historic protection at its July 5 meeting, the designation passed with unanimous vote of 6–0. Although this makes the designation official, the owner’s legal team submitted an appeal challenging the designation on the last day of the 15-day appeals period. The City Commission will hear the appeal on November 17, 2016. Shohei Shigematsu, partner at OMA and the director of its New York office, had never designed a parking garage until Alan Faena requested one. The Argentine real estate developer and arts patron hired the New York branch of a firm based in Rotterdam, Netherlands, to design Faena Arts Center, a forthcoming arts and luxury retail complex in Miami Beach, which will open to the public in late October. Upon completion, the complex will be the anchor for the Faena Arts District—a sliver of land on Collins Avenue sandwiched between Indian Creek and the Atlantic Ocean—which Faena and his partner, Ximena Caminos, plan to turn into a hub for multidisciplinary cultural activity. OMA is designing all three of the buildings slated to open in Miami Beach come fall: The Faena Forum, a two-volume space that imitates a superimposed cylinder and cube, will contain exhibition spaces and hotel and meeting facilities; the Faena Bazaar, a luxury retail complex located in the former Atlantic Beach Hotel, which was built in 1939 and that the firm is partially preserving; and the Faena Car Park, a mechanical valet parking garage with a perforated precast concrete facade, ground-level retail, and a rooftop pavilion with panoramic ocean views. The car park proved to be an unexpected challenge, due in part to the building’s straightforward program. The firm has experimented with various facets of parking design since the early 1990s: a 1993 proposal for the second of two libraries at Jussieu, a university in Paris, features interior ramps typical of a self-park garage, and the firm incorporated parking facilities in its 2004 Souterrain Tram Tunnel project in The Hague. However, in each case, parking was only a relatively minor consideration in projects otherwise defined by their programmatic hybridity. 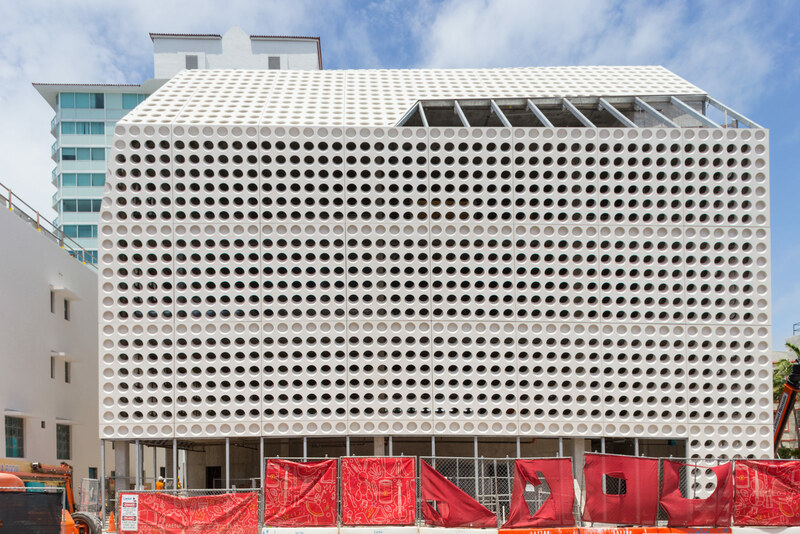 The Faena Car Park is OMA’s first freestanding car garage, and the sheer absence of complex activity that stood to transpire inside the building gave Shigematsu and his design team pause when they began working on the building in 2012. “We were crippled by not having enough context or content of program,” he reflected. As they scrambled for programmatic constraints from which to begin generating a scheme for the garage, they realized the project was in fact fertile ground to set aside their usual working methods. Instead of analyzing the program, they began by developing the facade in response to code regulations stipulating that half its area should be porous to facilitate ventilation. Parking is, famously, a prime commodity in Miami. Indeed, both the forum, which will serve as the district’s locus for arts programming, and the car park are being built on the sites of former grade-level parking lots that flanked the Atlantic Beach Hotel. Upon its completion, OMA’s car park will become part of a constellation of architect-designed parking garages that are now architectural calling cards for the city. Among these, the best known is Herzog & de Meuron’s 1111 Lincoln Road, an open-air, multistory garage completed in 2010 that doubles as a mixed-use development with luxury retail, fine dining, and yoga facilities located next to parking spots. Frank Gehry completed a parking facility adjacent to his New World Center in 2011—the same year that Perkins+Will finished its Miami Beach City Hall Annex garage. Enrique Norten’s Mexico City–based firm, TEN Arquitectos, completed the Park@420 car garage in 2010, and until mid-April, when municipal commissioners rejected the late architect’s designs for a garage in Miami’s Collins Park neighborhood, Zaha Hadid was also slated to build a parking structure. On Collins Avenue, OMA leads the vanguard in Miami parking design by working both above and below the city’s surface. 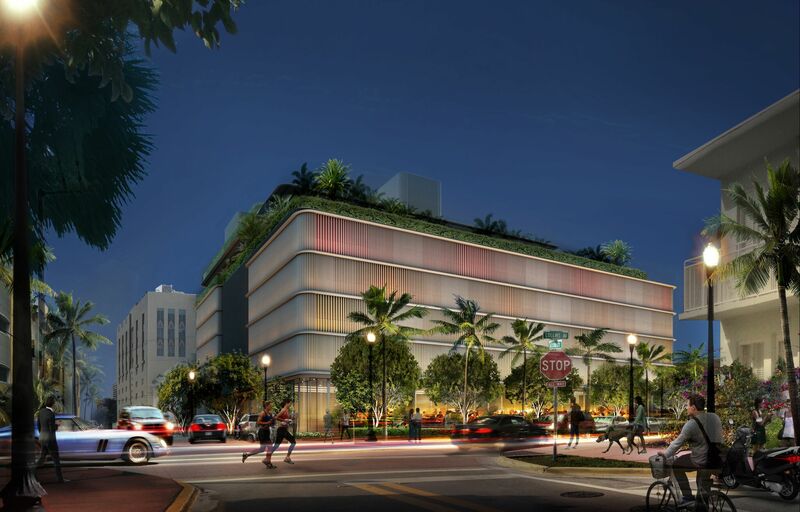 Approximately three dozen of the 235 parking spaces at Faena Car Park will be located below grade, a feat given the high groundwater level in the surrounding neighborhood. “When they started excavating the underground parking, there was a gigantic pool,” recalled Shigematsu. By way of resolution, the firm filled the entire cavity with a concrete lining that hermetically sealed the underground lot from liquid. The car garage emerged as a new typology, derived but distinct from storage warehouses and former horse stables in the 1920s. In 1925, Russian architect Konstantin Melnikov designed two never-built, but prescient, car parks for Paris. One was, in effect, a bridge over the Seine, with ramped decks that spanned the river and a dynamic curvilinear structure; the second was to be built on land, a cube pierced by four winding ramps that ran through its volume. Though Melnikov’s Paris garage schemes will probably forever remain unrealized, their expressive geometries and implicit recognition of car parks as platforms for viewing the surrounding city foreshadowed the work recently completed by prominent international architects in Miami. Nearly a century later, the designer car park is just as well a destination in its own right: not merely a promontory, but itself a definitive feature of the city’s architectural landscape. A new luxury residential tower is coming to the Miami skyline: Elysee Residences. Construction for this 57-story condominium at 700 NE 23rd Street in the East Edgewater neighborhood is currently underway and should be completed by 2018, according to a recent press release for the project. The project team consists of South Florida-based real estate development firm Two Roads Development, Miami-based architecture firm Arquitectonica, and Paris-based interior designer Jean-Louis Deniot. 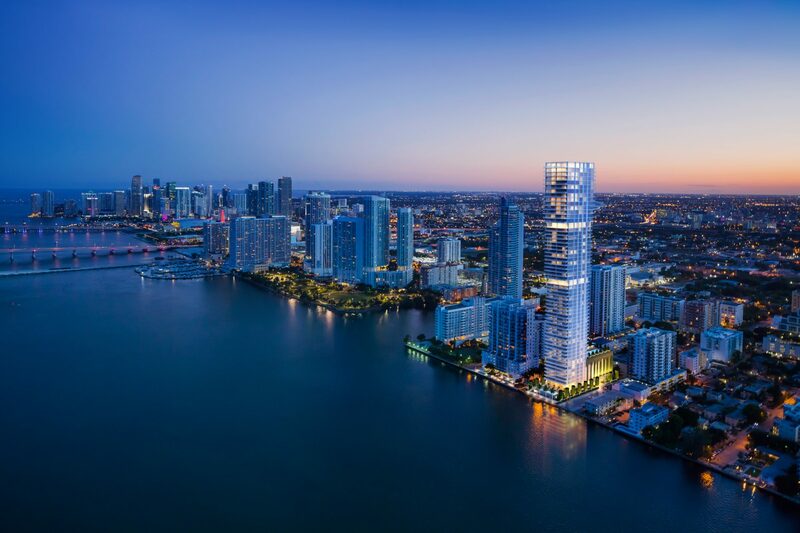 The tower, directly on the water along Biscayne Bay, will house 100 units, some half-floor and others full-floor residences, each boasting direct views of the water. In order to take full advantage of these waterfront views, the building grows larger as it ascends into the sky, creating a bold, multi-tiered silhouette. “In this era of technology, this design challenges gravity and announces the triumph of man,” said Bernardo Fort-Brescia, founding principal of Arquitectonica, in a design brief. Other features of the Elysee Residences include a Bayfront facing sunrise pool on the lobby level, a 75-foot resort pool, fitness center, outdoor summer kitchen/barbecue area, yoga studio, spa, a Grand Dining Room, and a library that converts to private theater on the 30th floor level. The building’s pricing ranges from $1.85 million to over $10 million, translating to an average $750 per square foot. When complete, the tower will be the tallest in the Edgewater district. Can decay on the Bay be forestalled? In 2014, a local group floated the idea of murals, and now, two nonprofits, the National Trust for Historic Preservation and Dade Heritage Trust, are renewing efforts to restore the Miami Marine Stadium on Biscayne Bay. Shuttered since 1992, both organizations have had their eyes on saving the seaside stadium for years. The National Trust listed the structure, built in 1963, on its annual 11 Most Endangered Historic Places in 2009, and declared it a National Treasure three years later. In a bid to cement its preservation in perpetuity, the stadium has been nominated for inclusion on the National Register of Historic Places. If approved, the cost of the restoration would be reduced by $6 million, as the project would qualify for federal historic tax credits. To introduce attendees to the preservation cause, the Dade Trust and the National Trust will run an information kiosk at the Miami International Boat Show, in Virginia Key, from February 11 to 15. A petition that circulating there and online asks City of Miami commissioners to prioritize the stadium's restoration this year. Already, the city has created an advisory committee to decide on future directions for Virginia Key, which includes the restoration and reopening of the stadium. An RFQ for engineering and architectural services for the stadium is out, and so far Miami has spent more than $20 million on restoring land around the stadium. Designed by Hilario Candela, a 27 year old Cuban architect, the all-concrete, 6,566 seat stadium was built to watch speedboat races. The roof, as long as a football field, was the longest span of cantilevered concrete in the world when it was built. The folded plate roof is anchored by eight concrete columns set back as far as physics would allow to afford almost unimpeded views of the bay. To draw attention to their cause and highlight the stadium's design, the National Trust will project vintage stadium footage in the evenings onto the structure this Friday through Sunday. The Miami Design District is renowned for its novel architectural and art scene, including many novel parking garages by top architects. 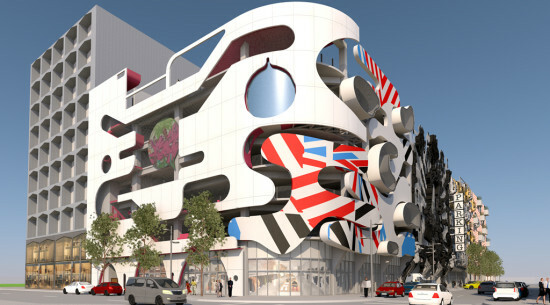 In a sort of game of architectural one-upmanship, another parking garage is about to add a jolt of art by transforming its facade into a larger-than-life canvas. The so-called Museum Garage will be clad with six radically different facades, all designed by different practices. Due for completion by the end of this year, the garage's display was curated by Terence Riley of K/R Architects and will feature an eclectic mix of facade designs ranging from a wall of used cars, human-scale ant farm-esque cut-outs, and partially tessellating oversized corner detail. The teams working on the designs include Sagmeister & Walsh; Work Architecture Company (WORKac); K/R Keenen Riley Architects; Clavel Arquitectos; J. Mayer H.; and Nicolas Buffe. Together, these facades will be part of a seven story floor and retail space, with a garage (hence the name) being able to accommodate for 800 cars. Clavel Arquitectos, based in Murcia and Miami, drew on the vicinity's urban growth with the facade being named Urban Jam. Subsequently the design will feature 45 reused cars, all of which have been painted silver and gold. New York–based WORKac incorporated what appears to be an enormous cut-out "ant farm" or a stylized "Rorschach Test" facade into the design for its program that includes a library, playground, and a pop-up art space. Serious Play comes from Paris and Tokyo-based Nicolas Buffe. Taking inspiration from retro video games, cartoons fill the facade in juxtaposition with baroque decoration detailing. From Berlin, J. Mayer H. introduced XOX, featuring an embedded lighting system. While sounding like a Miami club it is anything but and will probably be the only car part with tessellating corner components painted with car stripes in the area. Also from New York are Sagmeister & Walsh. But I Only Want You is a mural with burning candles at each ends implying that, despite being at at extremes, love can find a way. Finally, curators K/R Architects, from New York and Miami, use mockup traffic barriers for the facade. Dispersed among the "barricades" are light fittings which will draw attention to the barriers at night, being able to spin with the wind. 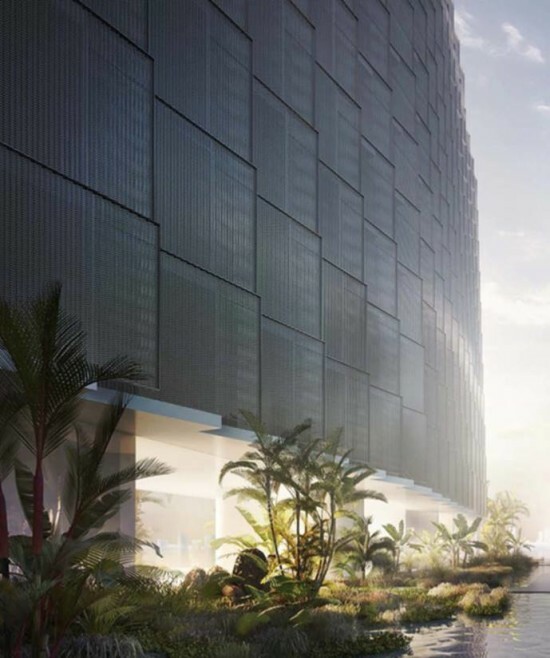 West Avenue in Miami Beach is set for a Jean Nouvel high rise surrounded by an elaborate man-made lagoon. The tower will be covered with suspended vegetation that, at least in renderings, casts the structure in a distinctly green hue. This is Nouvel's second attempt at building in the city after his Grove Heights project lost a competition in 2013. "Monad Terrace" as the 14-story tower is known, is set to top out at 149 feet, just a hair below the city's height limit of 150 feet. Developers JDS also recruited Kobi Karp Architecture and Interior Design to work on the scheme which boasts a glass facade encircled by water and a green wall, covered in foliage on one side. Inside, the structure will hold approximately 80 residential units that will offer two–five bedroom layouts, each with views out three or four sides of the building. Topping the structure are two penthouses, each with its own private pool. To maintain privacy, reflective screens—that allow views out but obscure view in—sit in front windows, creating a staggered facade. The lagoon, however, is the complex's showpiece. Occupants can stroll up to seating in the middle and edges of the lagoon or take a dip in the swimming pool along the bay where a waterfall is planned. According to managing partner at JDS Development Group, Michael Stern, the pool will be visible from the bay. It's not all good news though. Elaborate water features may be easy on the eye, but rising sea levels are a very real threat to those along the coast on Miami's South Beach. The issue surfaced late last year when The New Yorker published findings that said the idyllic retreats of the area could be underwater in under 50 years. Nouvel's design however, looks to be high and dry. "Our design is very conscious of what is going on to changes to the streets and concerns about sea level rise," said Stern speaking to Curbed Miami. Monad Terrace will be the first building in the West Avenue vicinity to encompass the higher street level requirements. Nouvel has been inclusive of the potential disastrous surroundings in his design. Landscaping dotted around the building can absorb water, meanwhile below street-level garages can act as water-tight "bathtubs." Speaking on the matter, Stern commented that "the landscape is designed that if any salt water intruded it is tough enough to live through that event." Large fairs like Art Basel/Miami always include a few galleries selling works by master architects as well as younger artists whose concerns cross into architectural, urban, and spatial territories. The just-concluded 2015 Miami fair didn’t have a great deal of architectural work this year but enough to keep architects pushing through its seemingly endless hallways of gallery stalls. In the first case Sao Paulo gallery Bergamin & Gomide has a beautiful collection of objects and drawings by Roberto Burle Marx, including his organic free flowing gold jewelry colorful renderings of the 1938 rooftop garden design for the ministry of education and public health. But if I were a (wealthy) collector I would have gone for his playful hand made wooden model for a mural in the 1954 Pignatari house. The other master who has been a staple at recent art fairs is Jean Prouve, whose small prefabricated metal, glass, and wood pavilions have sold for high prices. In 2015, galleries seem to be reduced to stripping off panels and ventilating grills from his remaining buildings to sell and these were in both Art Basel and Design Miami fairs. The most intriguing architectural work this year was from Italian Gruppo T artist Gianni Colombo. His 1968 Intermutabili wood maquette that is part of his Spazio Elastico cycle was a thrill to find in the fair. 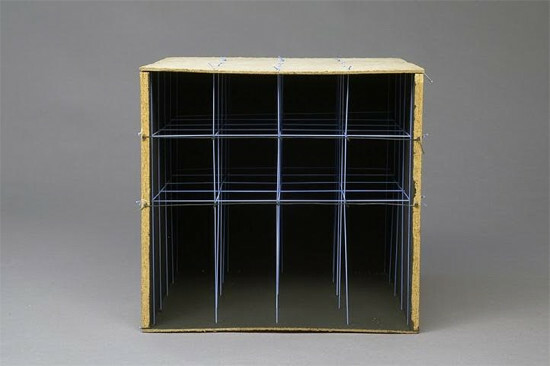 It was created to explain a full scale room installation for the 1967 Gratz Trigon 67 exhibition and then was re-installed at the 1988 Venice art biennale. The London gallery selling the Grupp T artist Robilant & Voena claims the model described an environment that was “a walk-in cube divided into spatial volumes by tense elastic cords treated with fluorescent paint.” The cords were apparently lit with ultraviolet light and subjected to deforming rhythmic horizontal and vertical tension by four electric motors that changed the configuration of the spaces according to predetermined rhythmic variations in the motors themselves. It allowed visitors to move from one cube to another, and within each cube to observe the other “deforming” cubes. 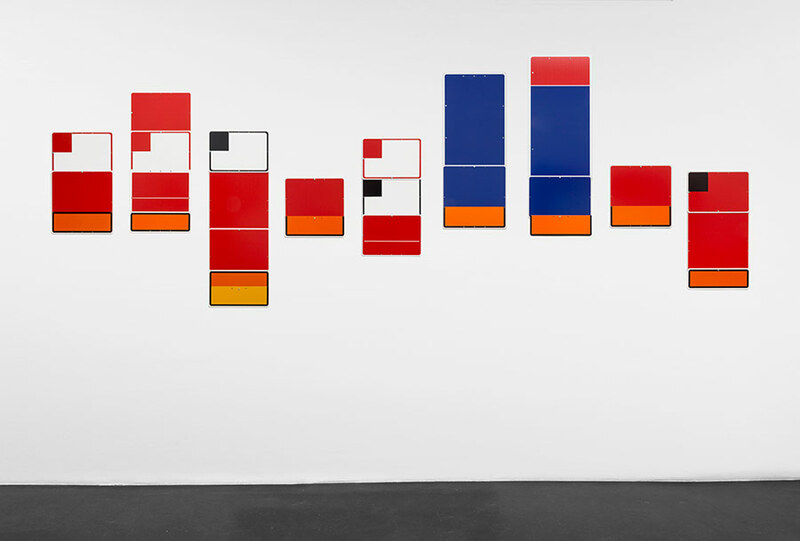 A central theme in this series of works was Colombo’s intention for the viewer to become an active participant, indeed a "technician," partaking in a game whose rules were defined by the artist. But Colombo also believed that “viewers must start to feel an intellectual understanding of the concept on which the design is based and of the artistic set of rules and methods governing the conception itself" and its “game-rules,” or the taut cords, were constantly present in the experience that the project-object offers at every level of its “consumption.” It is a brilliant example of what artists can bring to the investigation of space and time. A younger generation of artists that grabbing the attention of architects included the multi media artist Sam Durant who gallerist, Sadie Coles, showed his 2015 Epistemologies that “questions the role culture plays in the development of formal communities” of an early pre-modern frontier settlement. New York’s Essex Street gallery showed two artists who made powerful connections between form, urbanism and art: Cameron Rowland and Park McArthur. Rowland’s 2015 Lashing Bars, Lloyd’s Register Certificates that made seductively beautiful connections between metal lashing bars which physically (while its certification is established to insure the value of the goods) secures goods to the deck of the ship that often included slaves being shipped across the sea and were insured by Lloyd's, and form that appears "sculptural." Essex Street also showed nine columns of stacked street signs that are taken from those often contradictory examples all over New York City streets and then empties them out of their written content. McArthur’s signs demonstrate the ways that authority and guidance are manifested physically and spatially. Even without language, there is a set of rules and prescriptive power in the signage, for instance in the use of the color red as a warning. McArthur’s work attempts to dislodge and reconfigure the signs’ command. The works are indicative of McArthur’s overall project of “doubting normative jurisdiction and combatting the imperceptible and presumably ostensive role of format.” The Art Basel art fair is not the Venice Biennale and skews to the commercial side, but there are, in its endless hallways, brilliant example of what artists can bring to the investigation of space and time. One of the great joys of art and art and architecture fairs is the energy they create for specialized focused architecture exhibitions at alternative sites away from the main venues. This is true for all Venice Art and Architecture Biennales and the Salone del Mobile in Milan, Italy. This week's Art Basel/Design Miami, perhaps because it is still a relatively young event and focused on art and design and not architecture, is short on these sorts of serious ancillary events. But there is one small yet highly focused and detailed exhibit that stands out this week. Curated by Alastair Gordon (along with a class of students he taught this semester at FIU), the exhibit Accidental Architect: Robert Motherwell, Pierre Chareau and the Quonset House of 1947 details the house that Chareau designed for the New York painter in East Hampton when the Hamptons were still affordable for artists. Gordon obsessively photographed the house a week before it was destroyed in 1985. 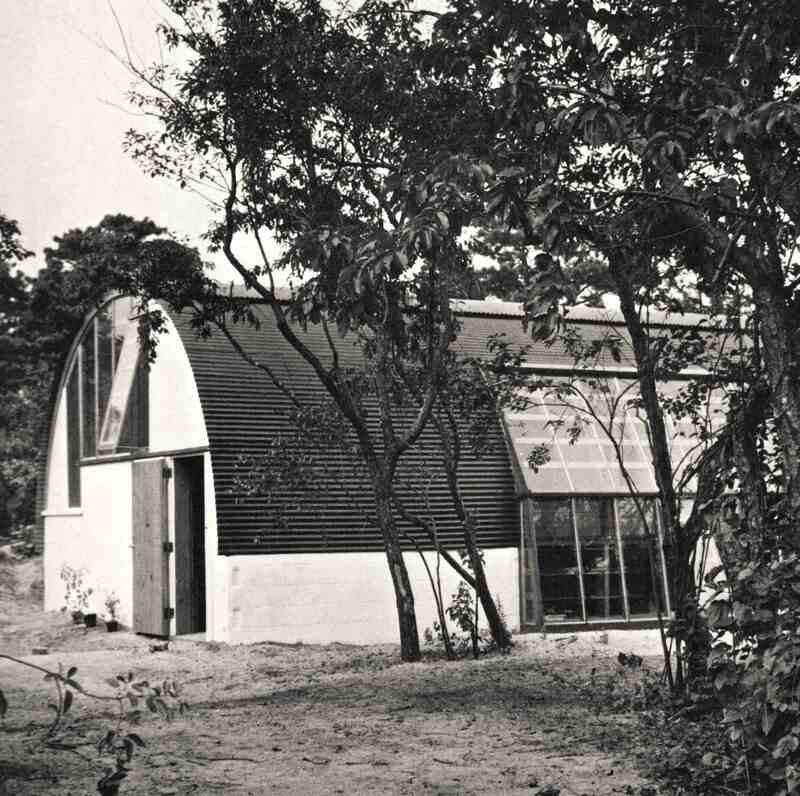 Quonset huts, of course, have a great legacy in America during war time, but this was not an ordinary metal unit but one tweaked and detailed by the master French architect. 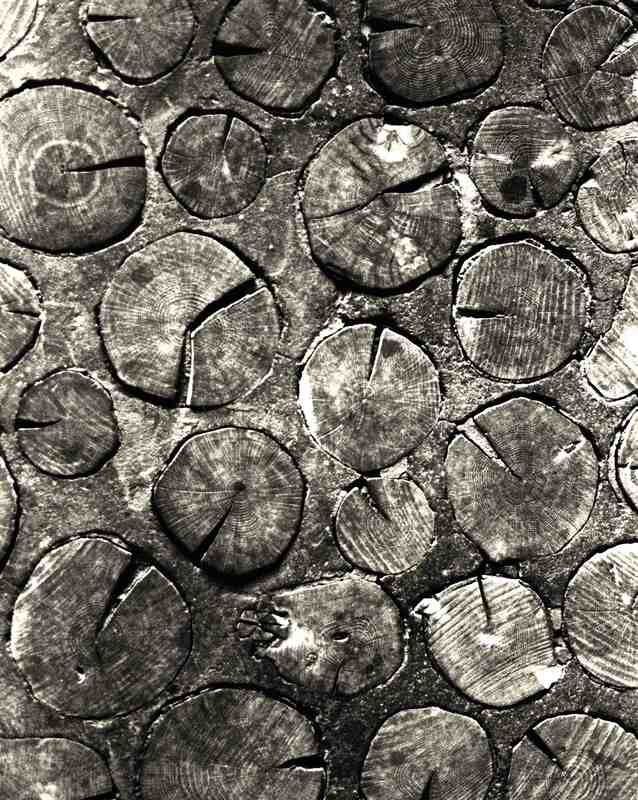 The exhibit has some of Gordon's beautiful detailed photographs of the structure that shows the outer limits of what can be accomplished with mass produced technology. We owe Gordon a debt not just for his obsessively detailed images, but the intelligence with which he put this show together. 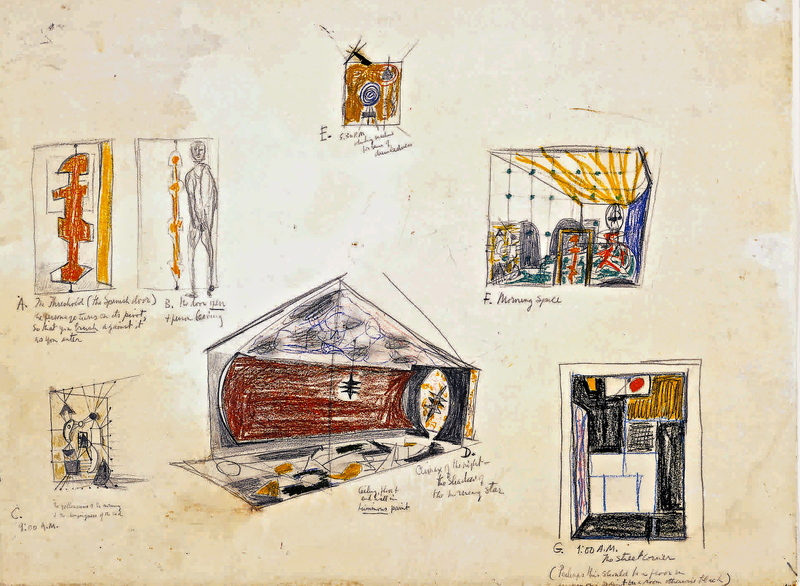 Gordon tied it to Motherwell’s artistic conversation with the house and his Mexican-born wife, Maria Ferreira y Moyers, who was making her own experiments in art and prose and became, in effect, a "third collaborator" on the design of the house. Barney Rosset, publisher of Grove Press, bought the property in 1952 and added incongruous cedar shingles and Spanish tiles. Despite many protests, the house was demolished in 1985 to make way for an "Adirondack-style" McMansion. The exhibit is in the Main Gallery of the Miami Beach Urban Studios at 420 Lincoln Road, 4th Floor.